Progility Limited is the holding company of a project management services group specialising in people, processes, training and systems integration. The Group has four divisions: Technology Solutions, Training, Consulting and Recruitment. Progility Technologies operates a communication systems integration business that designs, implements and maintains project management solutions for medium and large enterprises. Its focus is on the transport, utilities and healthcare industries in Australia and on the mining industry globally. The business merged with the original ILX Group PLC in October 2013, doubling the size of the existing company, and is headquartered in Melbourne, Australia, with national offices across the country. It has three operating divisions: Communications Australia, focused on communication systems integration; CA Bearcom, Australia's largest distributor of two-way radio communications products; and Minerals & Energy Technologies, which designs, implements and manages an array of integrated communications solutions for specific projects. Minerals & Energy Technologies has been identified as one of the fastest growing markets in Australia. 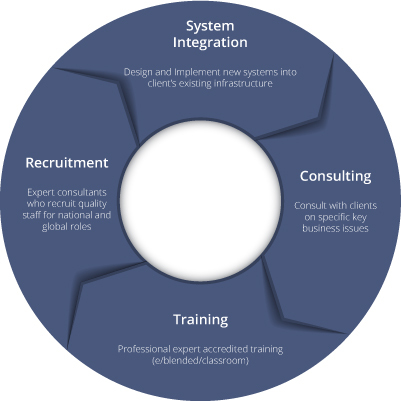 With over 30 years' experience in this sector, the consulting division operates under two brands; Obrar in the UK and ILX Consulting in London, Dubai and Australia. Obrar is a consulting and project management services company, focused on multimedia-driven call centres, corporate technology infrastructure and associated operational change. ILX Consulting is an organisational improvement and project management services company, specialising in information technology, service and supply chain improvement and overall project and programme management. Based in the UK, the recruitment services operate under three brands; TFPL, Sue Hill Recruitment & ILX Recruitment. TFPL was established within the Group in July 2013 with Sue Hill acquired in November 2013. Together, they form a recruitment division which boasts a pool of over 10,000 quality assured candidates trained in project management services. ILX Recruitment was born in January 2014 and offers specific project management recruitment services. The founding division of the Group, the Training business operates under the ILX brand. ILX is a leading global training provider for Project Programme & Portfolio Management, IT Service Management and Business Financial literacy. ILX has trained and accredited over 100,000 project managers over the past 25 years and works with over 5000 business in over 100 countries. ILX delivers unique technology-led learning solutions and best practice training for PRINCE2 project management, ILX has offices in the UK, Dubai and Australia. Consultants across business critical functions including IT/Telecoms strategy, implementation and operations.